Sinsheim - Both sets of players felt there was more in Saturday's 1-1 draw between TSG 1899 Hoffenheim and Borussia Dortmund. 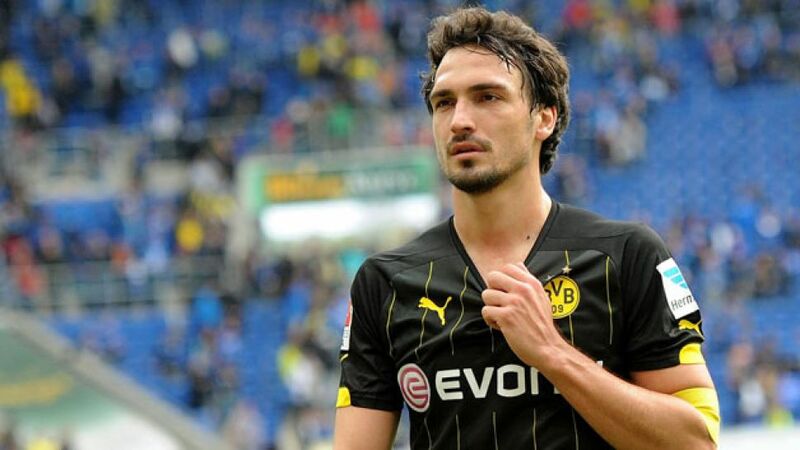 Mats Hummels: "You can’t help but feel a bit disappointed because we had some great opportunities at the end. We had two or three big chances, but Hoffenheim did too, especially in the first half and at the start of the second period. All things considered maybe a draw is the right result but if we'd scored again a victory for us wouldn't have been undeserved." Sebastian Kehl: "Hoffenheim will say that they deserved to win a point, but I think we had enough chances to win the game. Overall it was a very intensive game at the end of a very intensive week. It was end-to-end in the second half and it was a very fast-paced match. Both teams threw everything forward but at the end we just weren't able to make the most of our chances." Marcel Schmelzer: "It’s a fair result, even though we might have won it with a bit more luck. We could just as easily have lost, too." Kevin Volland: "It was a really intense game. We created some good chances, but we also had a bit of luck at the end. We played well, carved out some opportunities and our pressing worked very well for us today." Ermin Bicakcic: "We really wanted three points today and for 90 minutes we gave everything to get them. We had chances to win it, but Dortmund's transitional play is always on your mind because [Pierre-Emerick] Aubameyang is so unbelievably quick. It's a pity that the goal we conceded came from a corner. We've got a clear objective for the rest of the season. We showed team spirit and go into the final straight with a lot of self-confidence." Oliver Baumann: "We put in a good performance today, created good chances and it's a shame we couldn't win it. We missed the chance to go in front for the second time. That opened up chances for BVB on the counter late on. We came close to taking the lead, but in the end it's a fair result."